Finance minister to Hilsa! – Summit Helicopters Pvt. 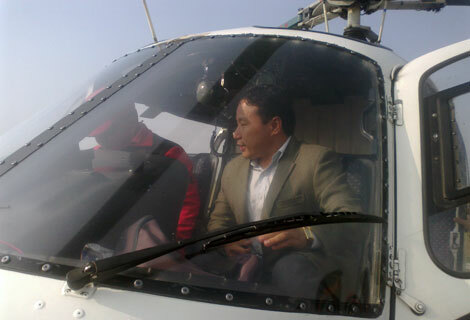 Ltd.
Nepal’s Finance Minister Barsa Man Pun flew this morning with Fishtail Air from Kathmandu to Hilsa (`12500ft) on a mission for the inauguration of a bridge being built across to the Chinese border. Our helicopter AIK (AS350B) flew him and other members of the parliament initially to Surkhet and then to Hilsa where they will had a ground time of about one hour for the inauguration of building the bridge. There after they were flown back directly to Kathmandu by Capt. Deepak Rana.